Once you've added a position, you can start receiving applicants. 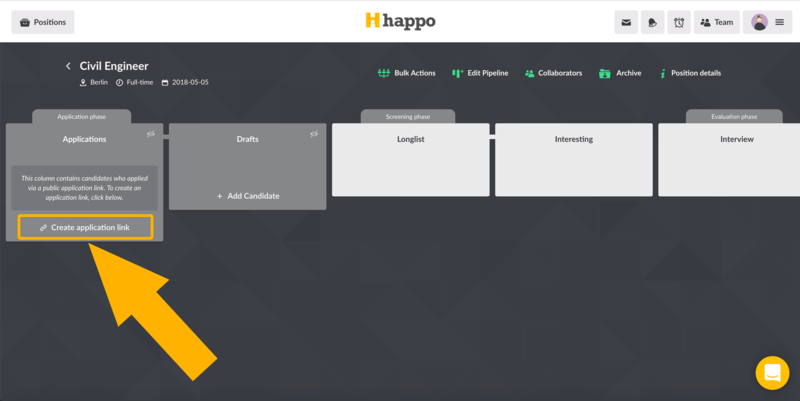 To receive applicants into Happo, you'll want to create an application link. When candidates click on the link, they will access the application form to fill out and receive an automatized "Thanks for applying" message. Your candidates will show up in the stack titled Applicants. You are now ready to start the recruitment process in your organized pipeline.